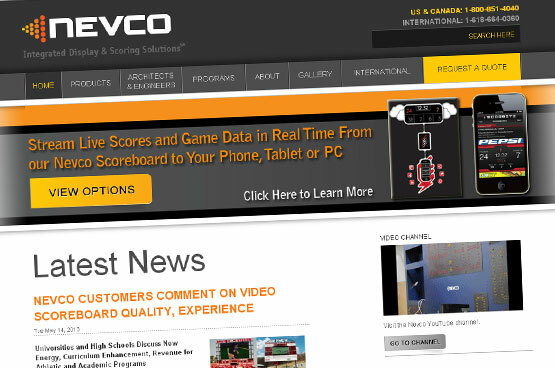 Nevco Incorporated underwent a major brand and identity change that involved a redesign of their website. We worked in conjunction with their ad agency and internal marketing department to develop a brand new website that was consistent with their new brand and corporate identity. 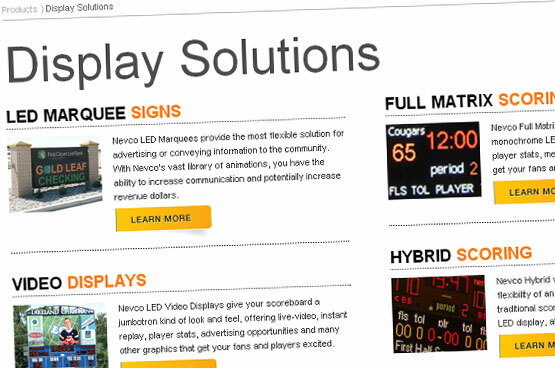 Challenges on this project included producing a Flash-based application to design and create your own Scoreboard. An additional challenge centered around Nevco’s product images. 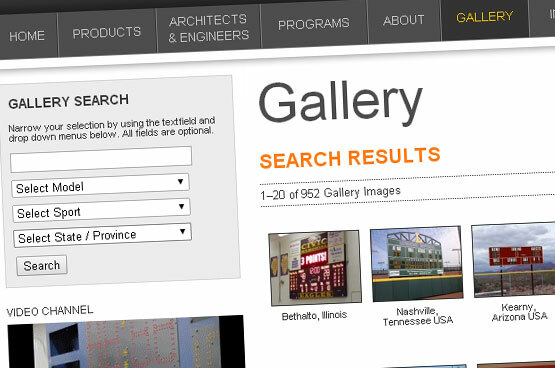 A new catalog was created with all new product images. The company offered each of those products in 9 different colors. We created a Flash application that read in transparent PNG files so the user could click a color swatch and see all of the different colors available.